What could be simpler than water? 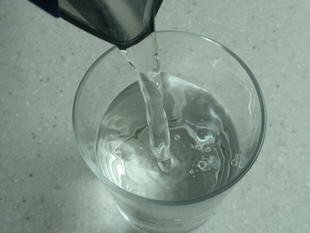 It is true that for most recipes that require it, ordinary tap water is fine. The exception is for sorbets, which can sometimes be affected by the slight chlorine taste of tap water. For sorbets, it is better to use bottled water, or - a more economical solution - leave tap water to stand for a few hours in the fridge and the chlorine will escape naturally.